Tide pools are nature’s aquariums, and a trip to your local tide pool is absolutely magical. 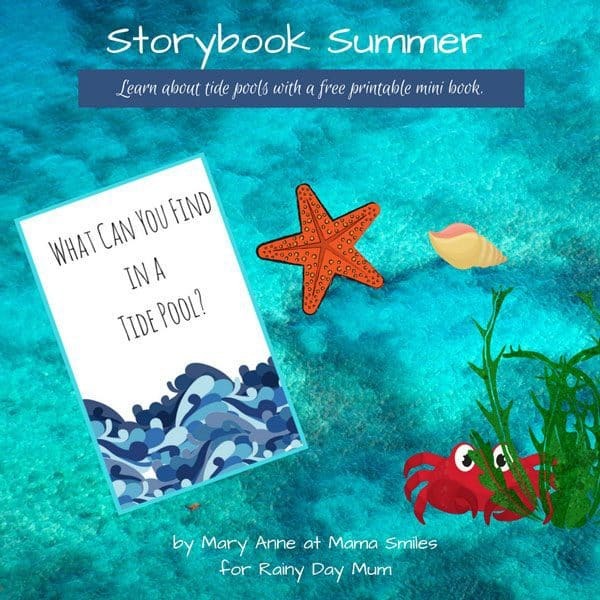 Today’s Storybook Summer for our ocean week post focuses in on that magic, and the accompanying scavenger hunt guide lets kids know what to look like for on their outing. Tide pools or rock pools are a great way to see what is in the oceans and seas near you. 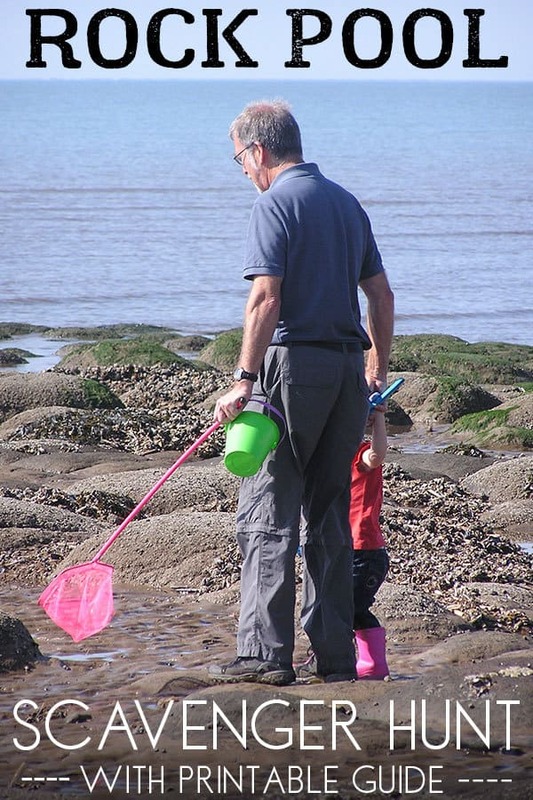 Read our guide on “How to go Rock Pooling with Kids” to find out what equipment to take and what to look out for as well as check out our top tips below. 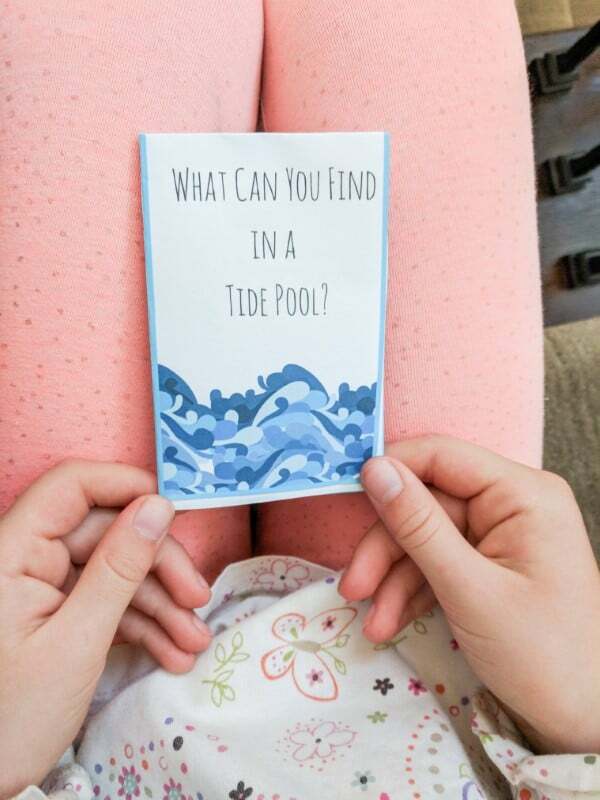 What Can You Find in a Tide Pool? We have included links to books and resources that we recommend. If you purchase from these links we may earn a small commission. 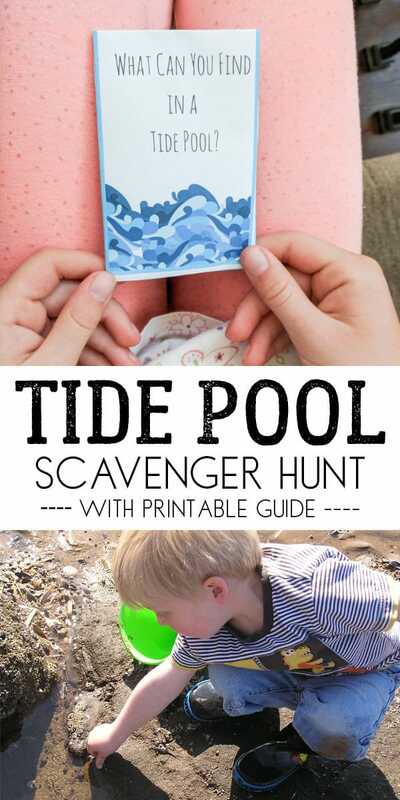 Visiting tide pools is one of those rare activities where children are at an advantage rather than a disadvantage due to their short height. 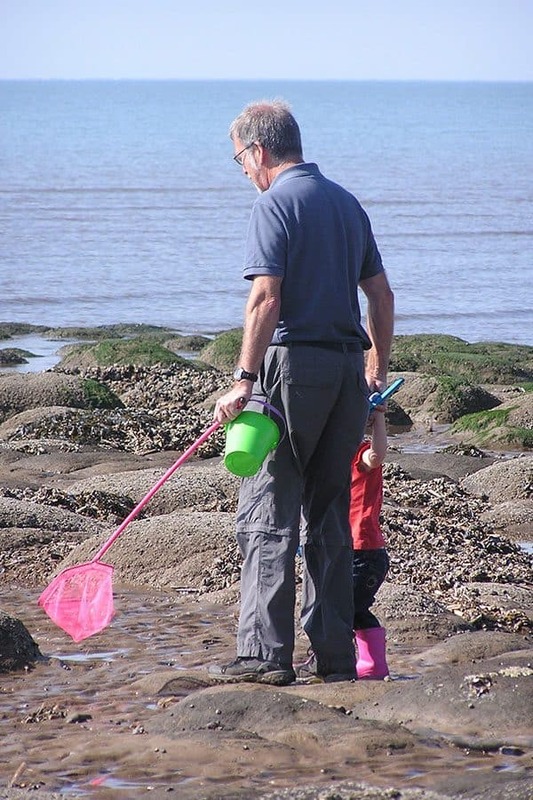 I took my kids to the Fitzgerald Marine Preserve at a particularly low tide a couple years ago, and it’s an experience they are still talking about. The book In One Tide Pool captures that same sense of magic and wonder that I remember from our tide pool visit. We’ve since visited more everyday tide pools. Even if we don’t see quite as many creatures, the kids love checking, and they are always excited about what they do find! Rocky beaches often offer the best tide pools, although I have seen a few good ones at sandy beaches. It’s important to check the tides timetable before you go. The lower the tide, the more likely you are to find something really amazing in the tide pools! Dress in warm layers. The day is likely to start off quite cold, but it can end up being very warm! I also recommend bringing a change of clothes, in case children decide to go wading or slip and fall. Bring snacks to enjoy if you plan to stay for longer than an hour or so. 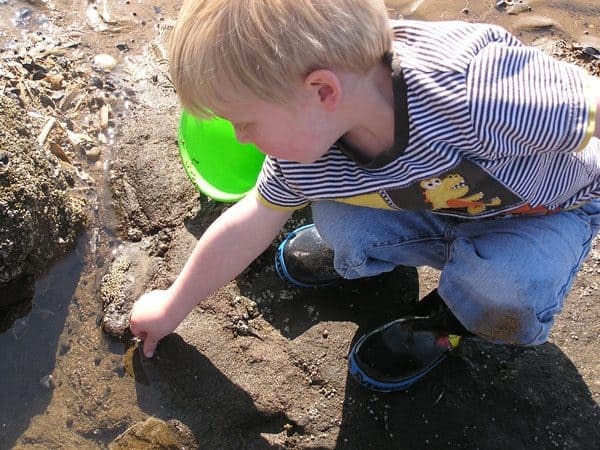 Some children may enjoy sketching their finds while sitting on the sand or a nearby rock. Children LOVE taking photos of their finds, if there is a camera available that they can use. If the beach you are visiting allows you to carry out shells, look for some fun ones that you might want to use to make molds for homemade chocolates! 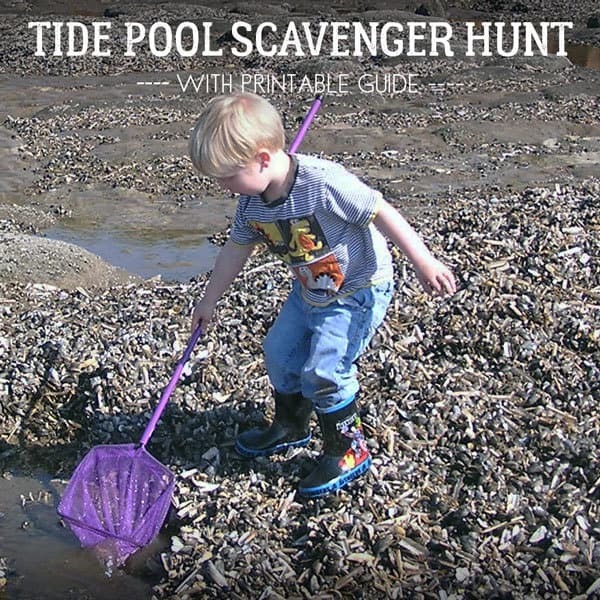 If you’ve never been tide pooling or rock pooling before check out our guide on How to Rock Pool with Kids. They will love it! 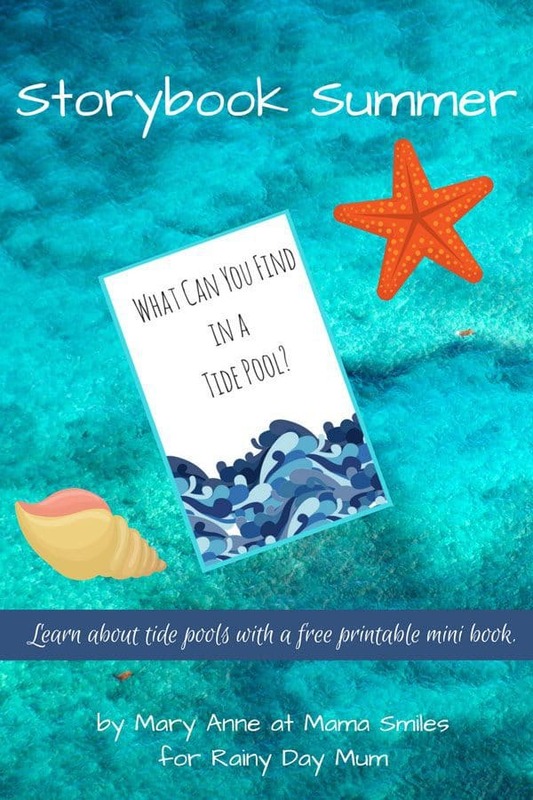 I created a mini one-page book tide pool reference for my kids to bring along as a kind of look and find a guide on our tide pool excursions. We’ve found every single one of the creatures (and plant) in this book at the Fitzgerald Marine Preserve. Most of the time we aren’t quite that fortunate, but the hunt is always fun! This book is very easy to make! Click on the image below to download the free PDF file. The entire mini book fits onto a single sheet of printer paper. Cut along the dotted line, and then fold the pages to create your mini book. The two pages on the top right side will create the front and back covers of the book when folded correctly. It’s a very simple book and really designed to get children thinking about what they may see, as well as what to look for. I made the book for my five-year-old, but my older children surprised me by liking it as well. 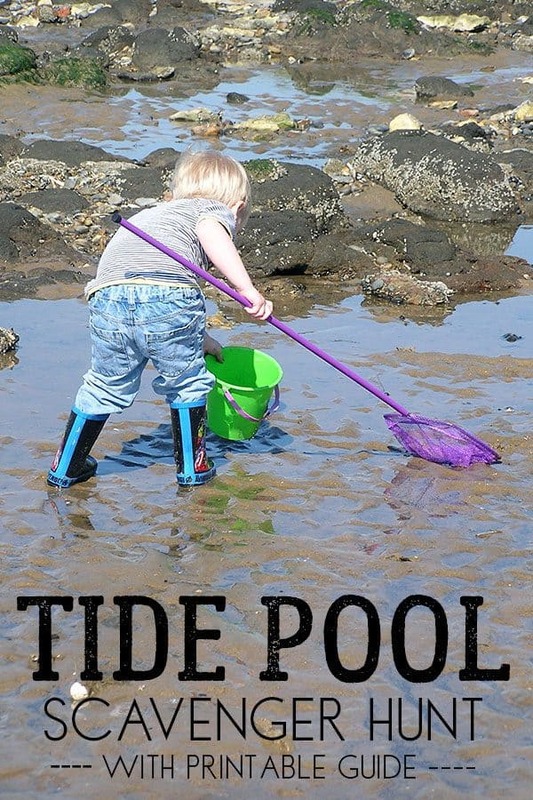 Have you taken the kids to visit tide pools yet? What was their favorite discovery? 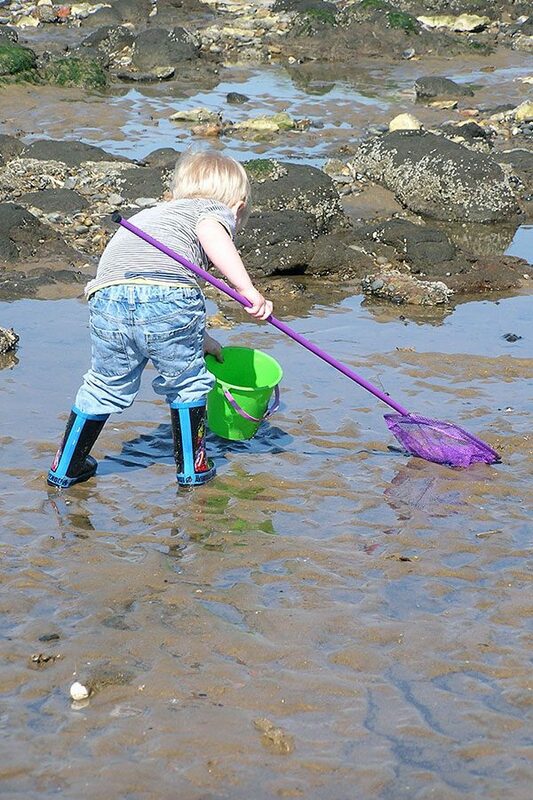 What are your top tips for taking kids to visit tide pools? 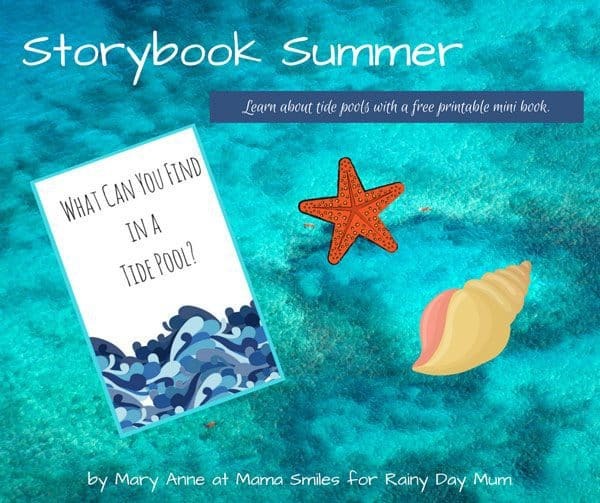 MaryAnne blogs at Mama Smiles about parenting, crafts, education, and family travel. She also runs a book review site, Great Family Reads, and a toy review site, Top Toy Finds. 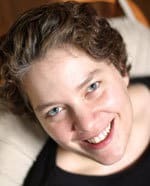 She lives in California with her husband Mike and their four children, a dog, and two extraordinarily long-lived goldfish. for a behind-the-scenes look at their everyday life.